We’re severely disappointed we won’t have our annual Halloween pumpkin this year. I was hoping to bring you Iron Maiden’s Eddie, but alas – there’s some crop shortage so no go this year. Fear not though, TT has been hard at work carving out some ghoulish instruments to mark the occasion. Goodbye pumpkins, hello Balsa wood and reduced capacity at the Lego city gaol. 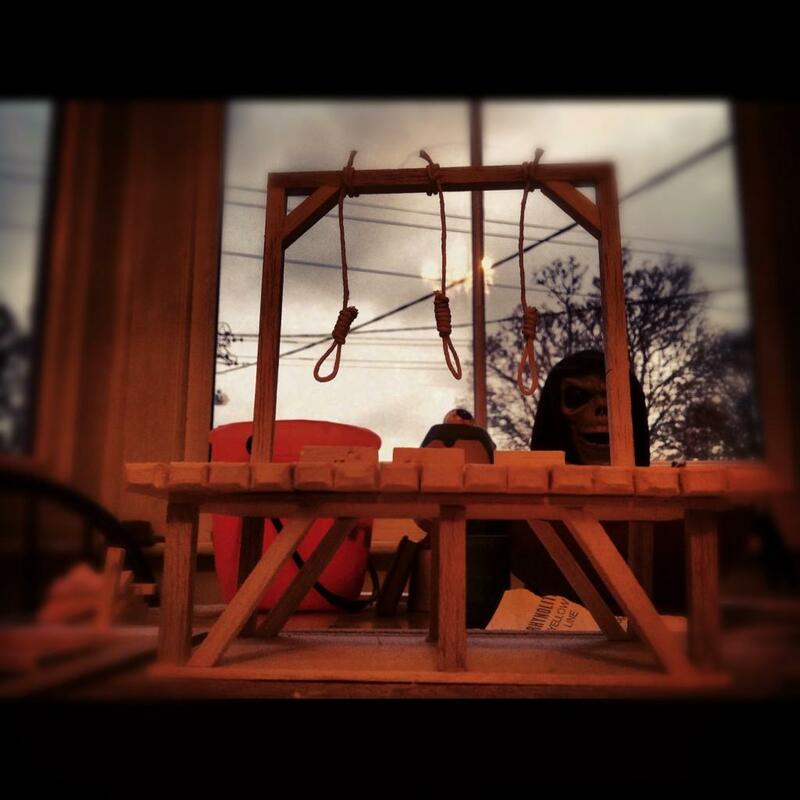 The Gallows (1): What torture collection would be complete with out an old creepy 18th century gallows? This Lego man will meet a fitting end for his crimes. This was the first model I ever made from balsa wood and it’s a lot of fun – try it out. The Guillotine: After a gallows, what else can be used to…. bring things to a gruesome end? Put Halloween and Alice Cooper in the same sentence and you have your answer – a nasty guillotine. This was the most fun to build and the one I nearly cut myself on the most. There’s a little bit left to do, but for now I’m happy. This nonsense about first to do, cut myself..etc, is all for formatting. The Gallows (2): When one just isn’t enough, you need a larger gallows. Still under construction, but it’ll be completed tonight. Lego men – prepare to meet a grim finish. All that’s missing in the current version is the stairs and three blocks to stand on. 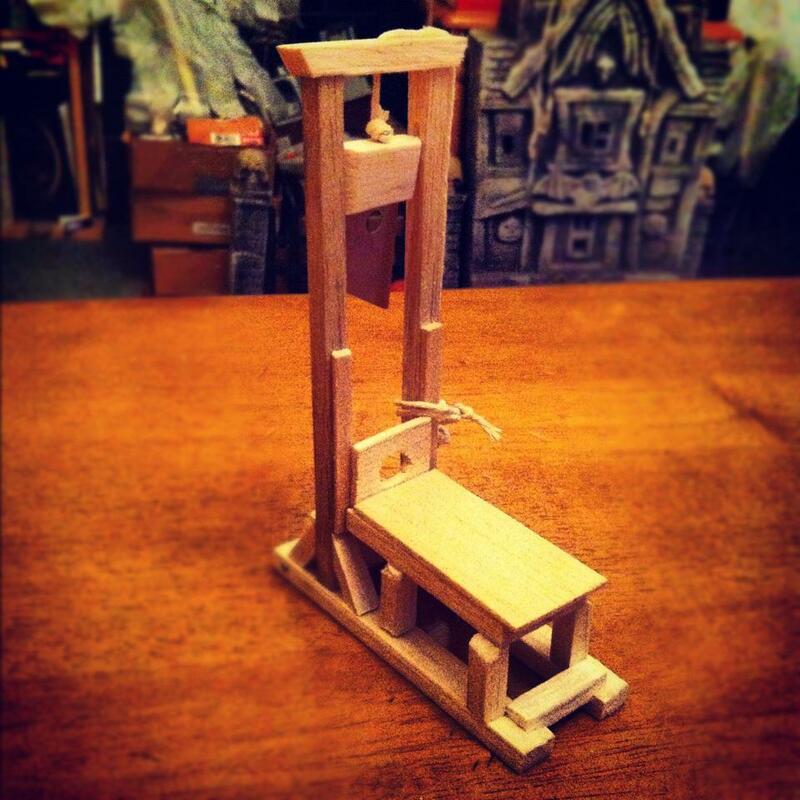 The platform also supports the guillotine. 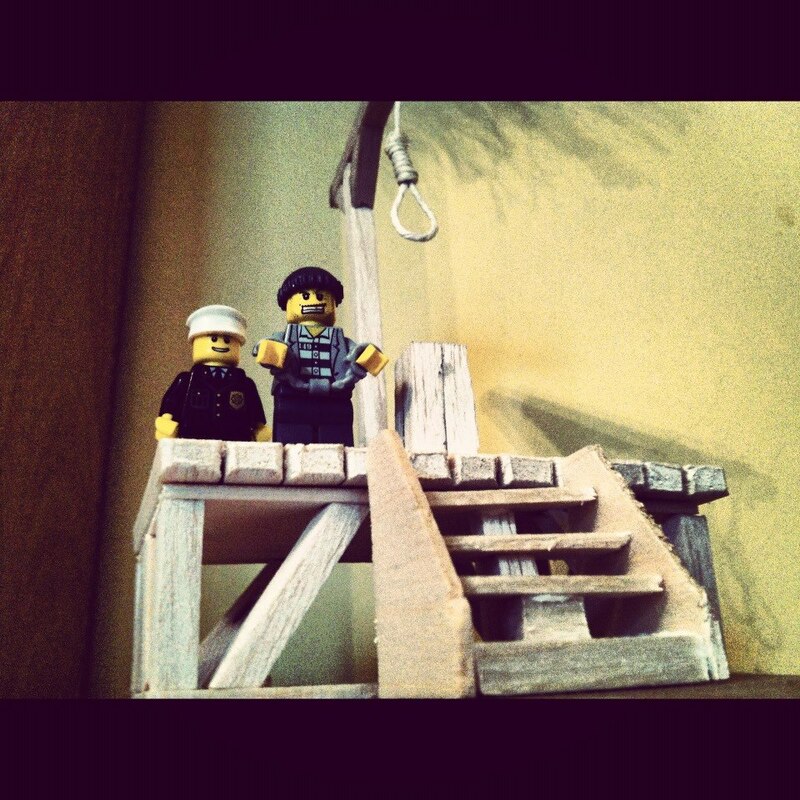 This entry was posted on October 31, 2012 at 2:56 pm and is filed under General Tickets There Blog with tags balsa wood, gallows, gallows model, Guillotine, Guillotine model, Halloween Decorations, Lego, lego gaol, pumpkins. You can follow any responses to this entry through the RSS 2.0 feed. You can leave a response, or trackback from your own site.